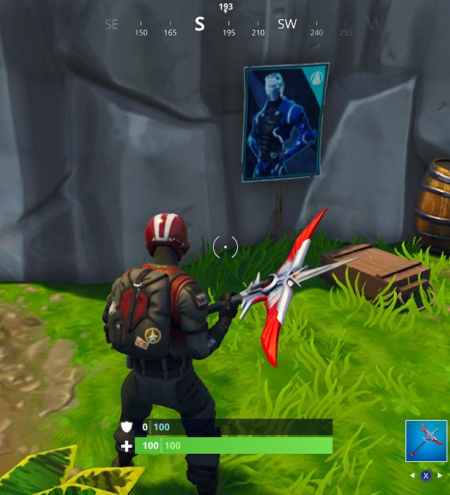 Spraying over Fortnite carbide and omega posters is one of the Battle Pass challenges in week six, season four. 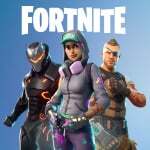 Complete it and you'll earn five Battle Stars that will help boost you up the tiers for those sweet season four exclusive rewards. 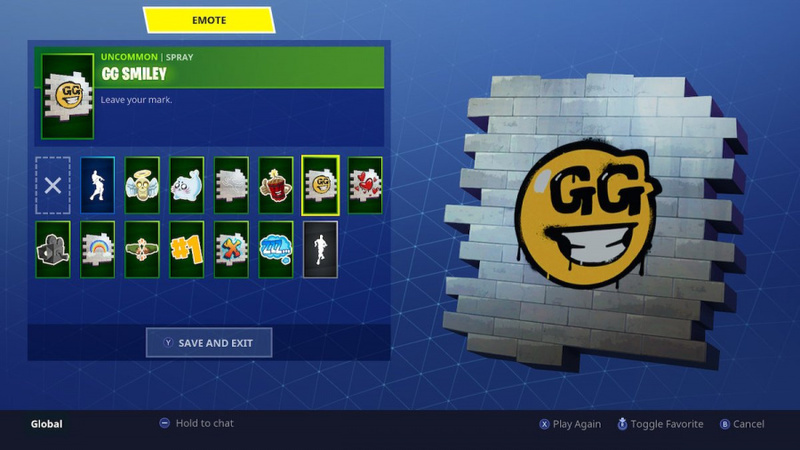 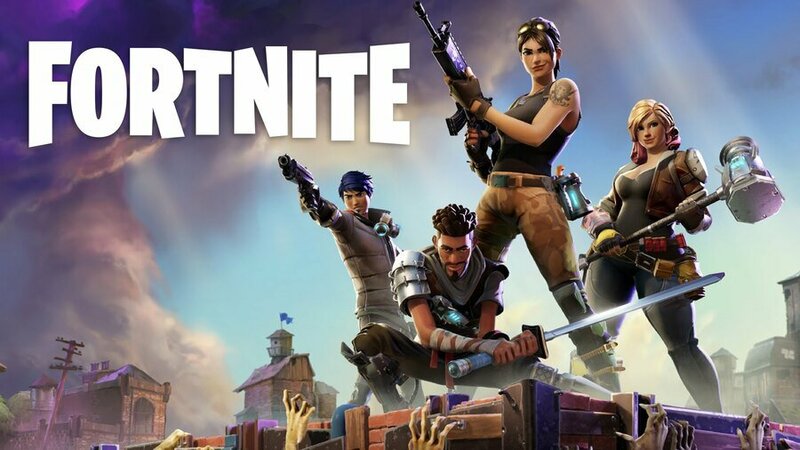 Season four of Fortnite introduced a new type of emote that allowed you to spray a variety of different unlockable symbols on a surface while playing a match of Fortnite Battle Royale. You can use this new emote in the exact same manner as you do any other emote. 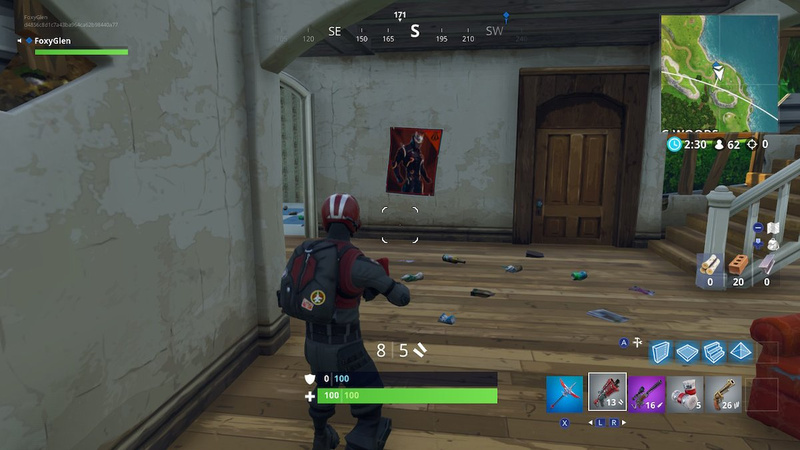 Press down on your D-Pad, select a spray with your right analogue, and press B to initiate it. 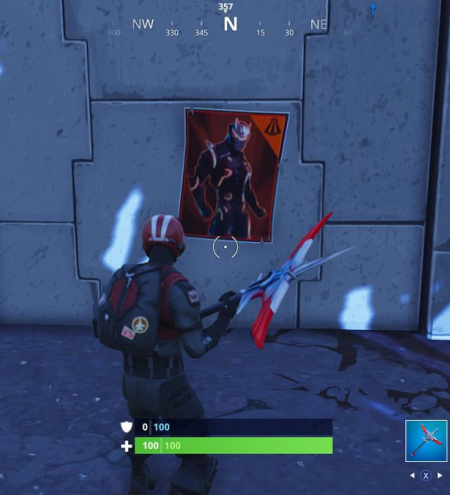 As long as you're facing a Carbide or Omega poster and are close enough, you should have no bother spraying over it. 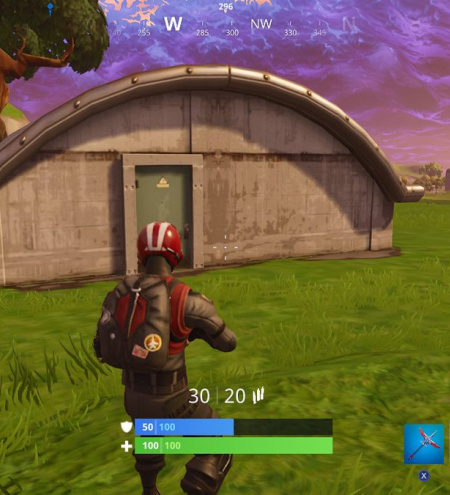 Make sure you equip a spray before you enter the level though. 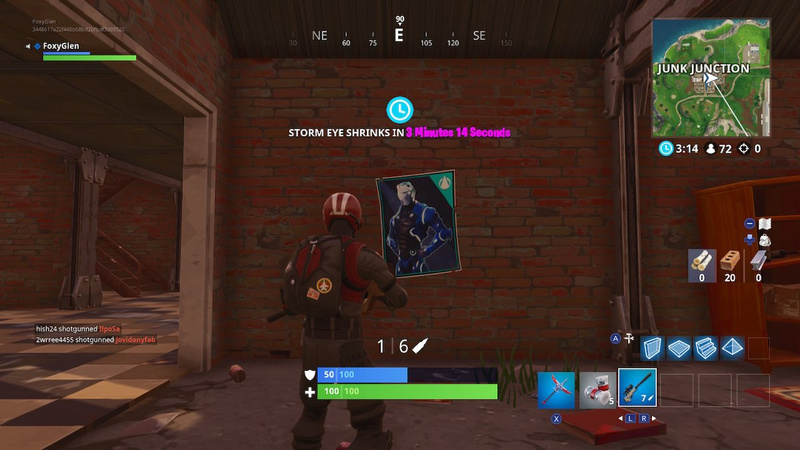 You can do so by heading on over to your locker while in the lobby, and equipping a spray emote in one of the slots. 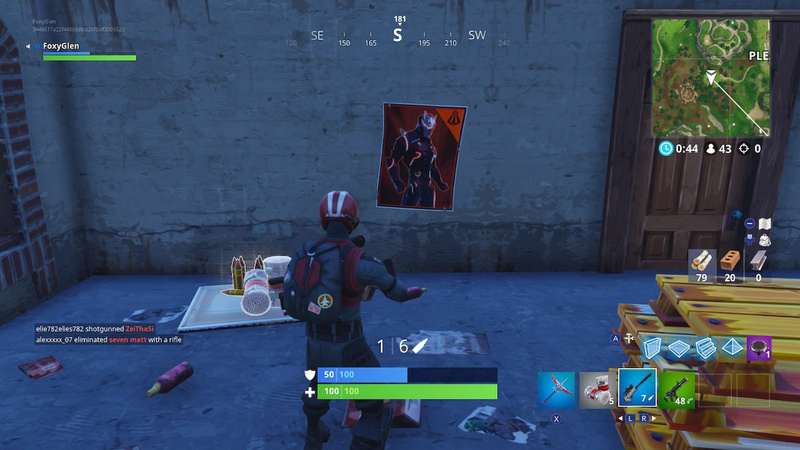 You'll know it's a spray if the image appears over a wall, and the subtitle is "Leave your mark.". 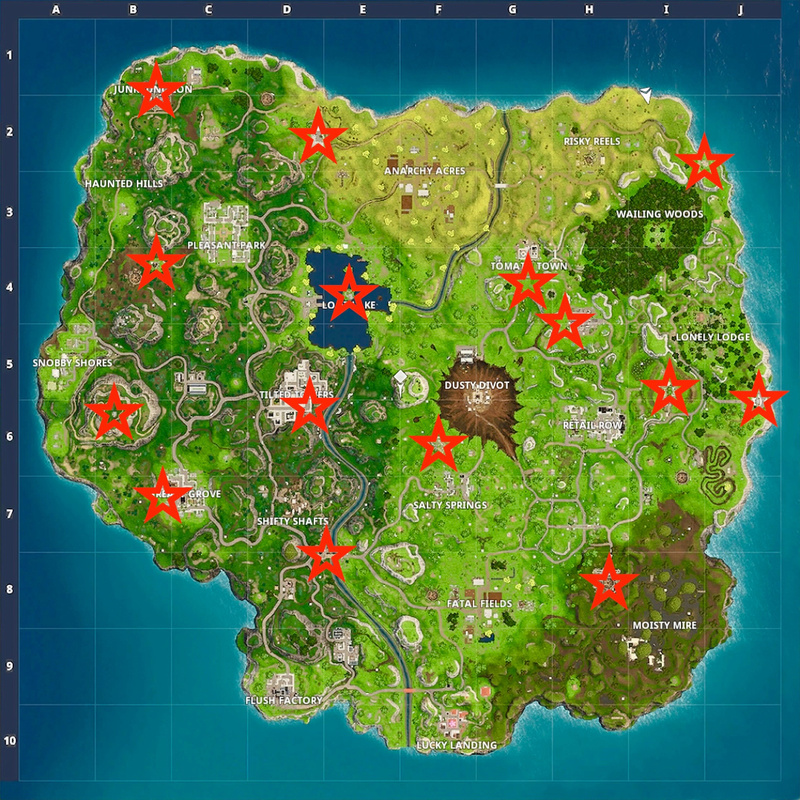 Refer to our image above if you're struggling. 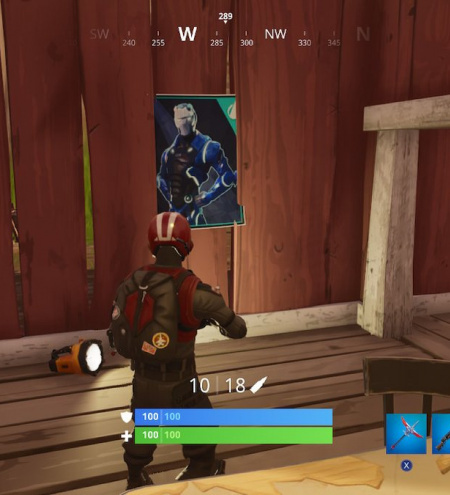 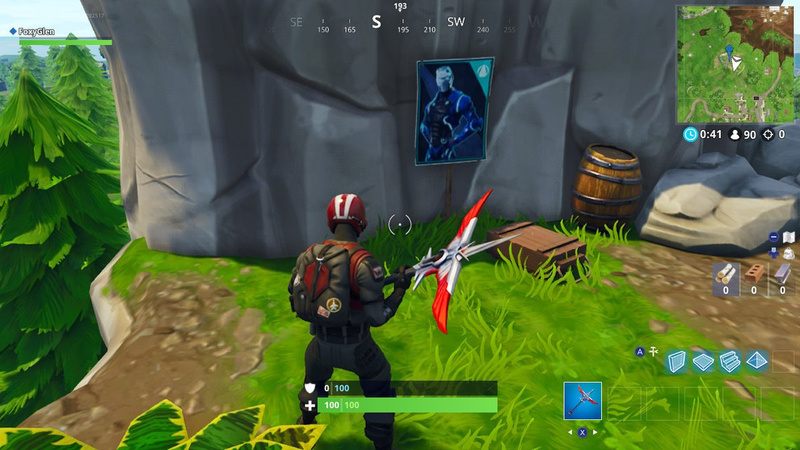 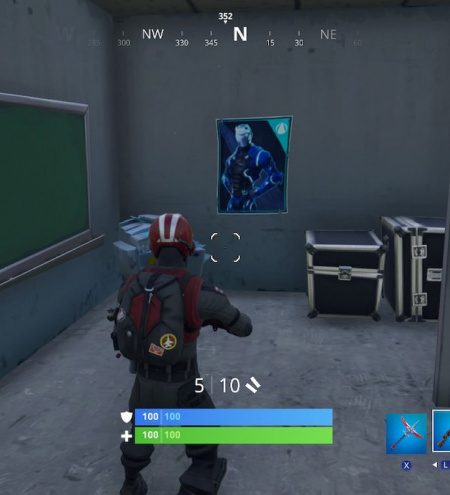 While you only have to spray seven of them, there are a total of 15 Carbide and Omega posters in Fortnite. 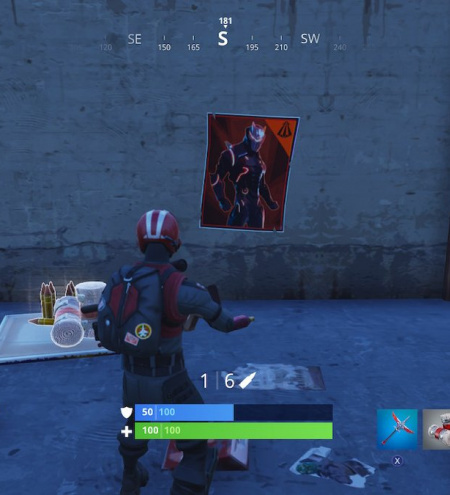 You do have to spray over seven different posters though, so it's a good idea to make a note of the posters you spray as you play. 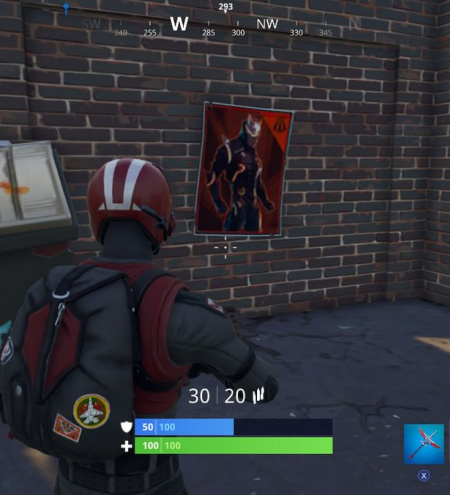 Refer to the map above to find the locations of each poster, and we'll describe their exact locations in more detail below with images to help you narrow it down. 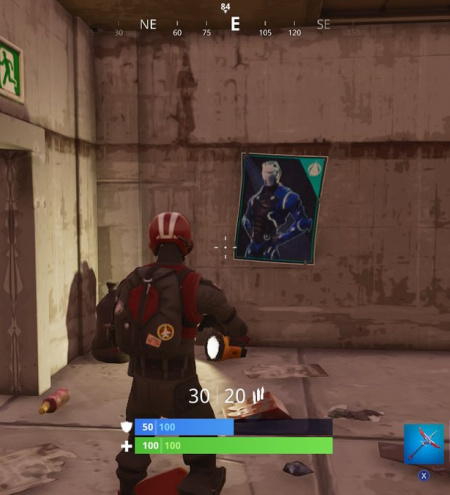 Head inside the biggest warehouse in Junk Junction from the western side, and you'll spot the poster on the wall in front of you. 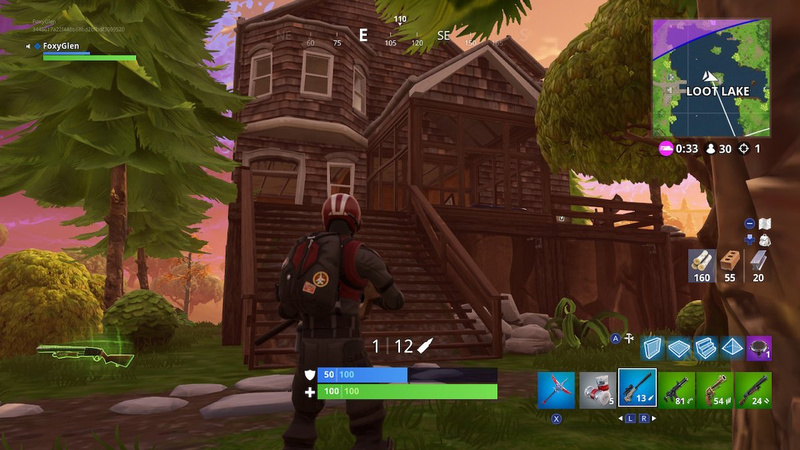 To the southwest of Pleasant, you'll find an odd-shaped house in the middle of nowhere. 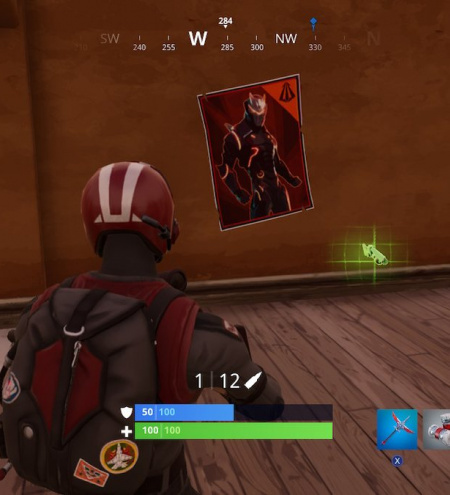 Head inside from the north and you'll find the poster right in front of you. 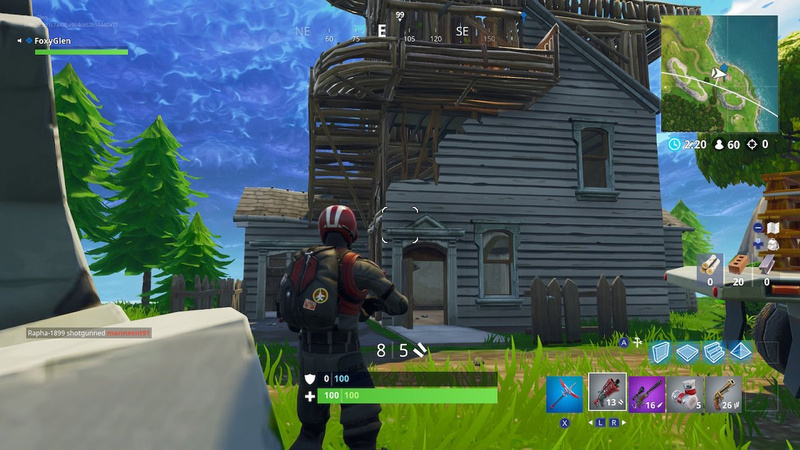 Land on the mountain southeast of Snobby Shores and you'll find a small house. 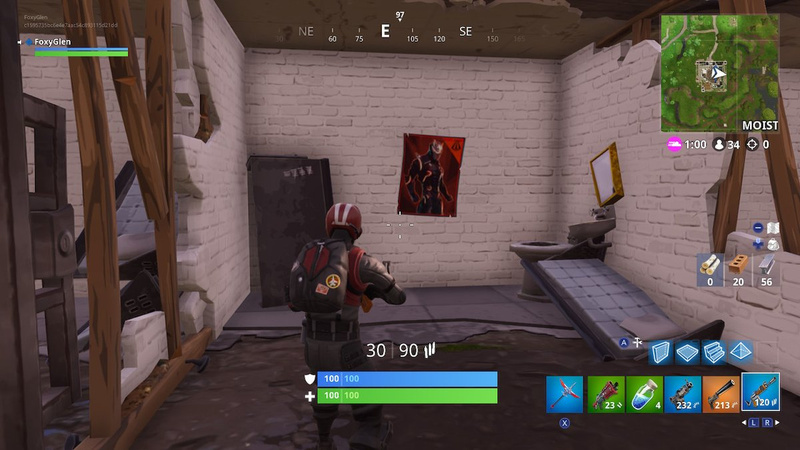 Enter via the rear door and you'll find the poster on the wall right in front of you. 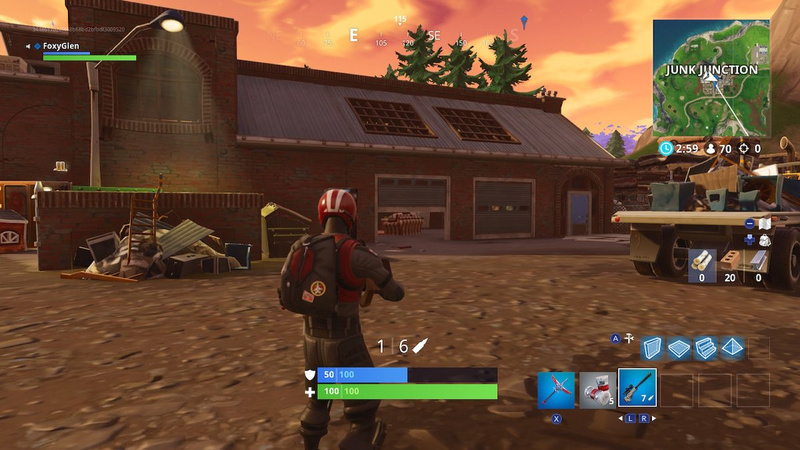 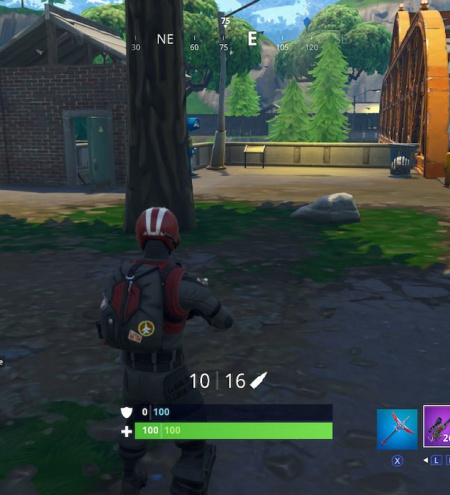 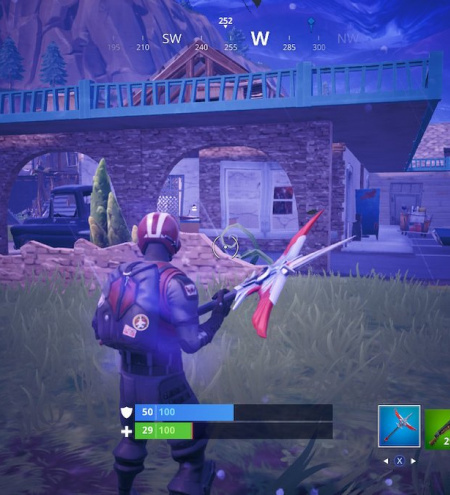 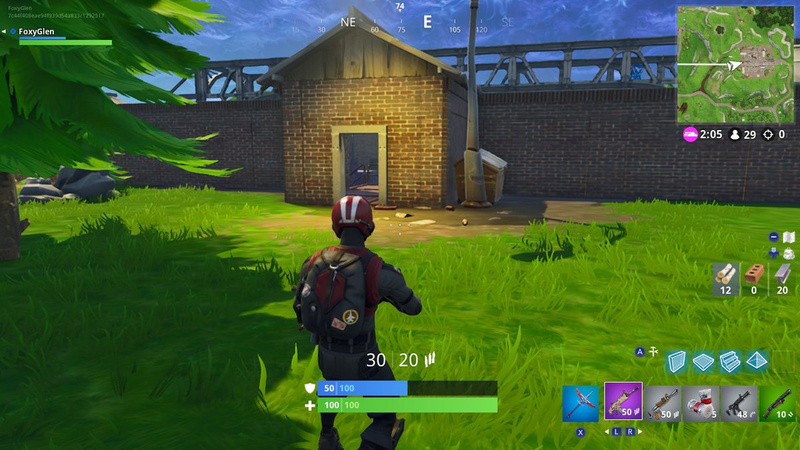 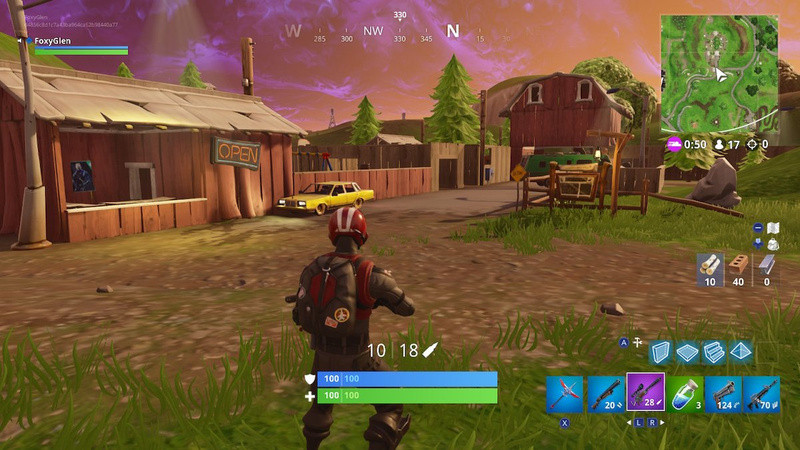 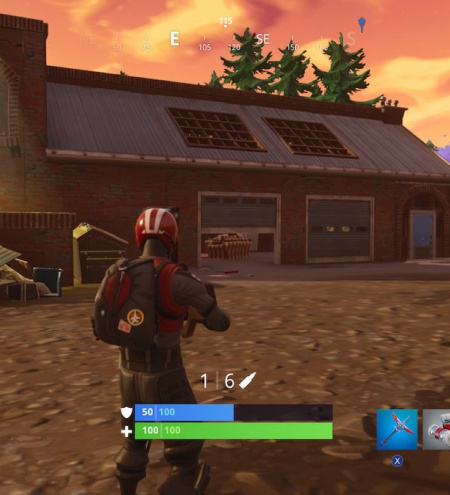 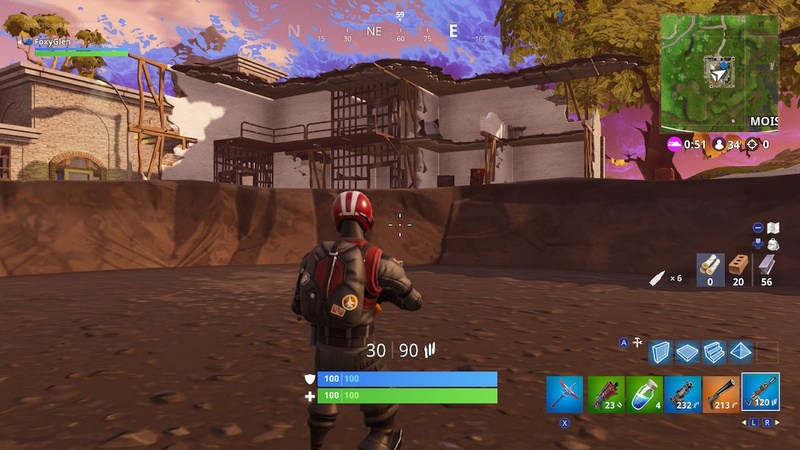 Enter Greasy Grove on the west side and head towards the rear entrance of the restaurant. 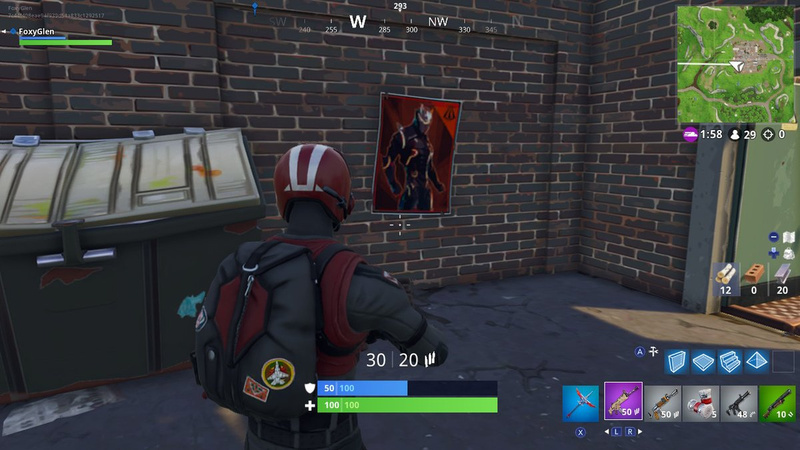 You'll find the poster just to the right of the rear door. 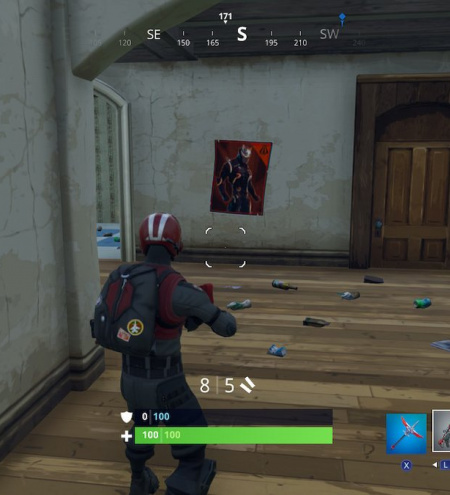 Head inside the biggest house from the east side of the unnamed area to the northwest of Anarchy Acres and you should see the poster right in front of you. 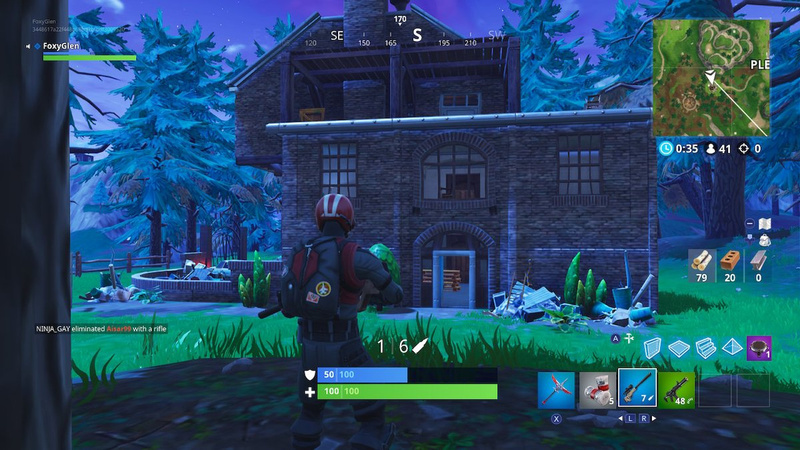 Enter the mansion in the centre of Loot Lake from the west side and you should have no trouble spotting the poster in the first room you head inside. 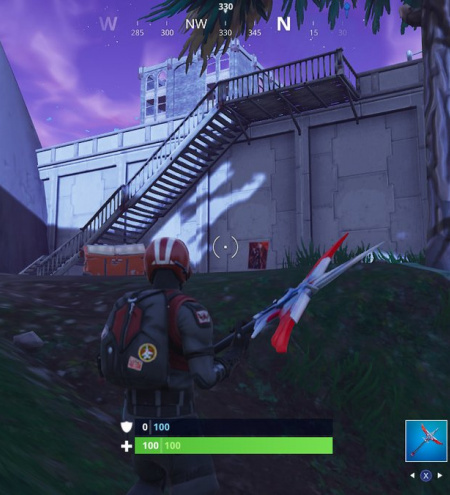 Head towards Tilted Towers from the southeast side but don't actually enter the area. 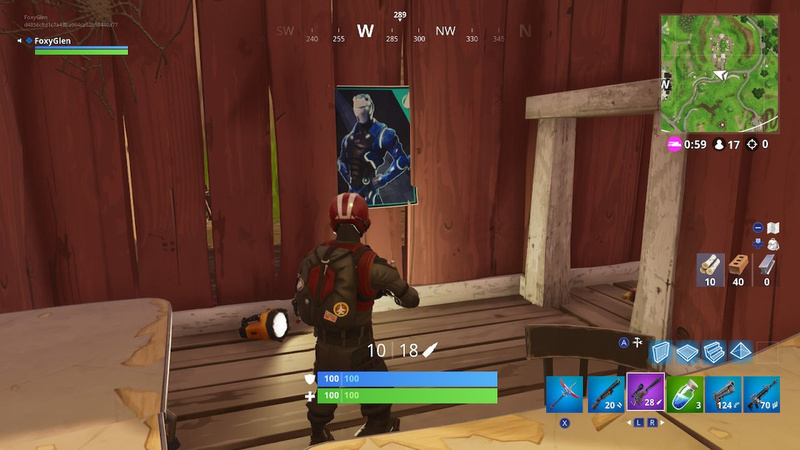 The poster is underneath a set of stairs leading to Tilted Towers. 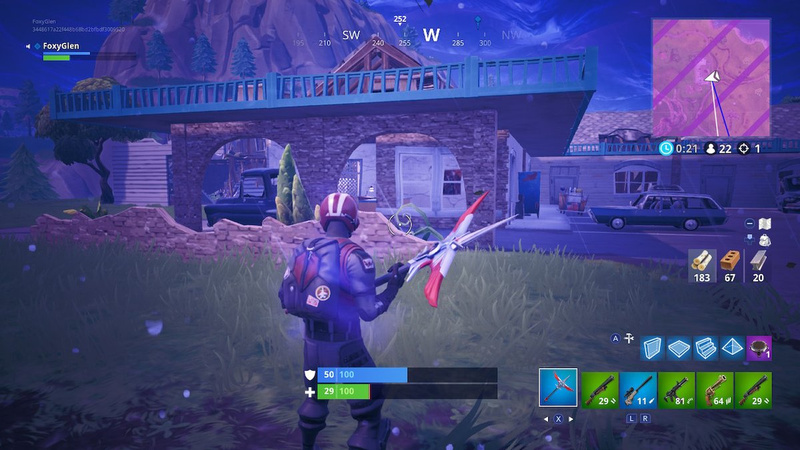 Head south of Shifty Shafts until you encounter a bridge over the river. 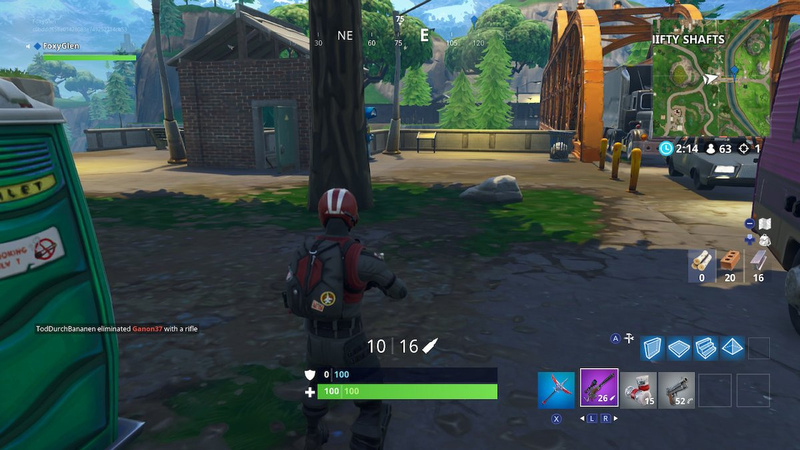 While facing the bridge on the western side, you'll find a small building on your left just next to a tree. 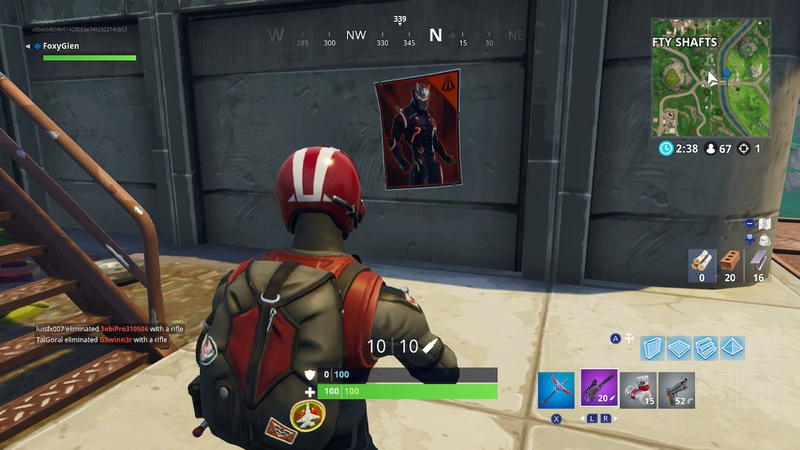 Head inside and the poster is just down the stairs on your left. 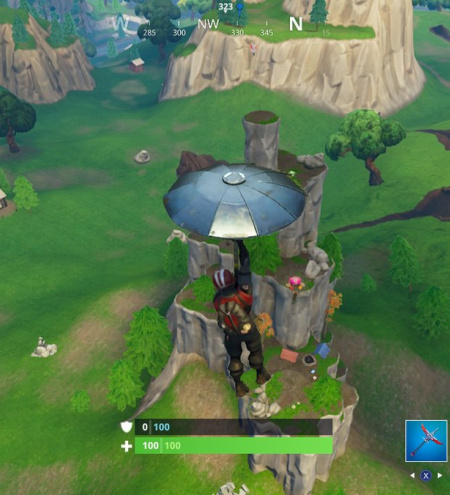 Just north of Salty Springs there's a nice campsite on a mountain. 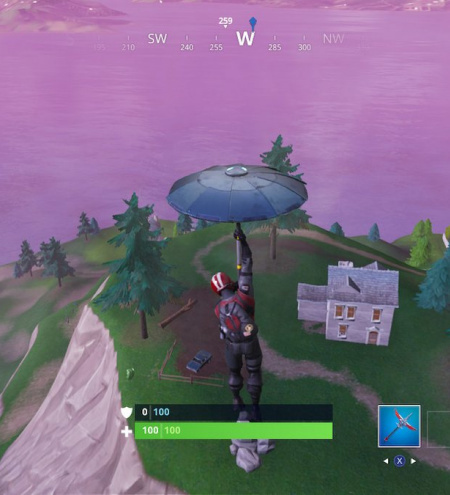 We'd recommend flying down to it, as it's much easier to reach that way. 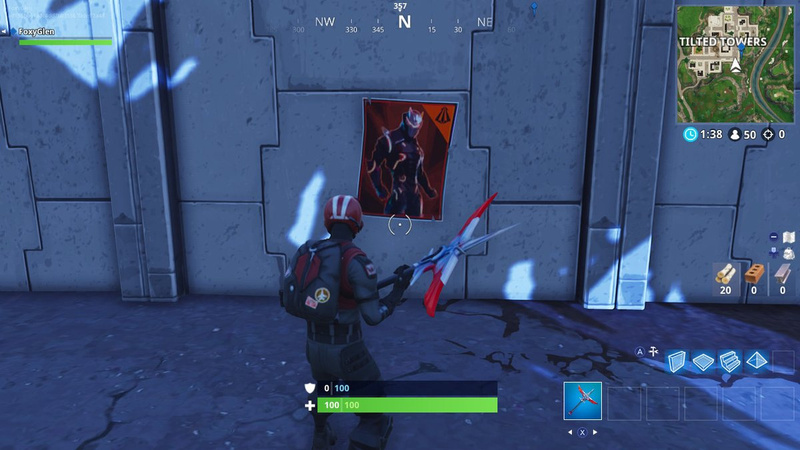 The poster is pretty easy to spot. 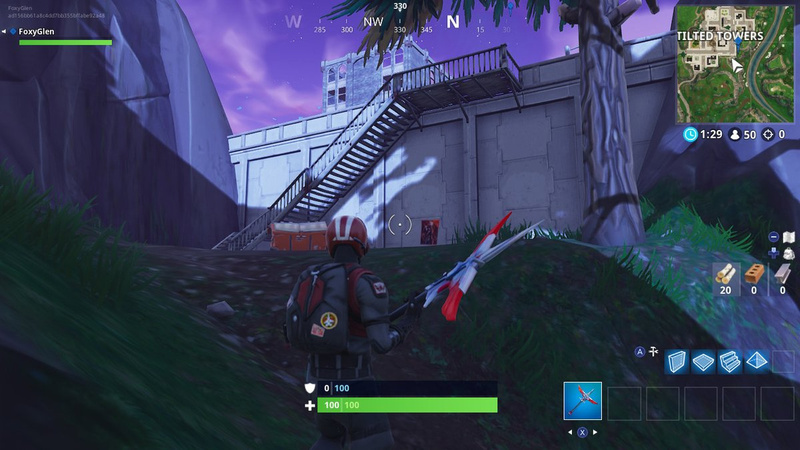 South of Tomato Town, there's a tunnel that you can access from above or below. 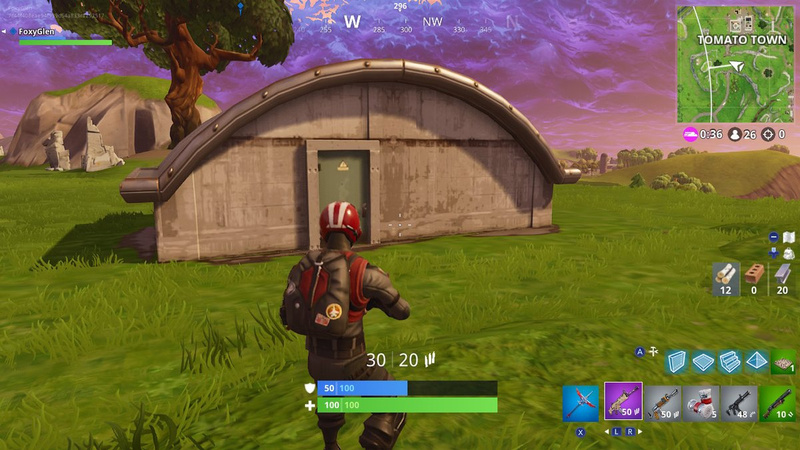 We recommend coming in from above, via the small hut. 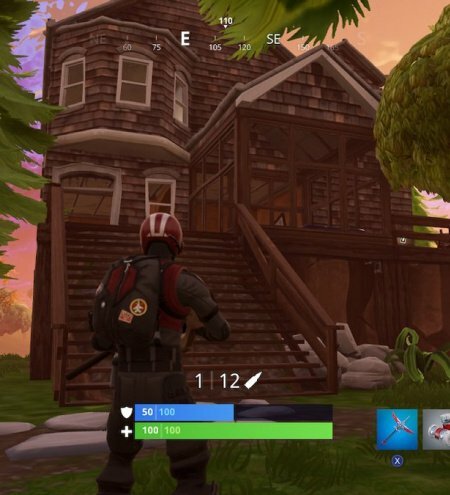 Head inside and go down to the very bottom of the stairs, then leave by the door on your left. 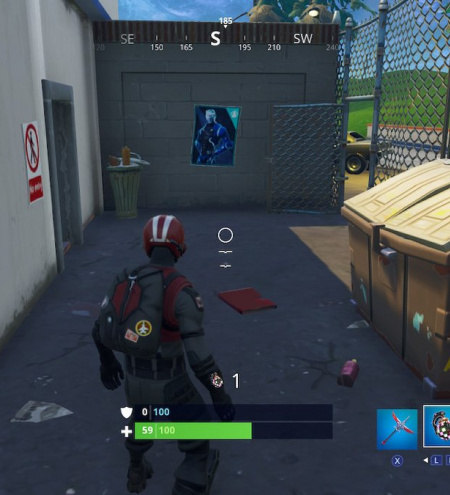 Just to the left of this door is the poster. 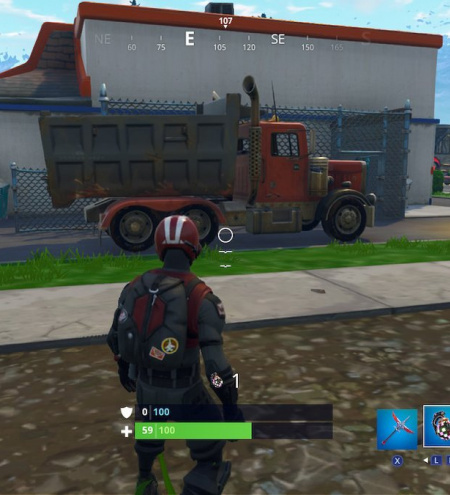 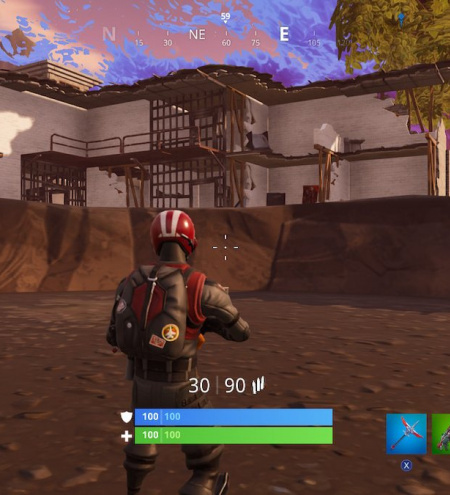 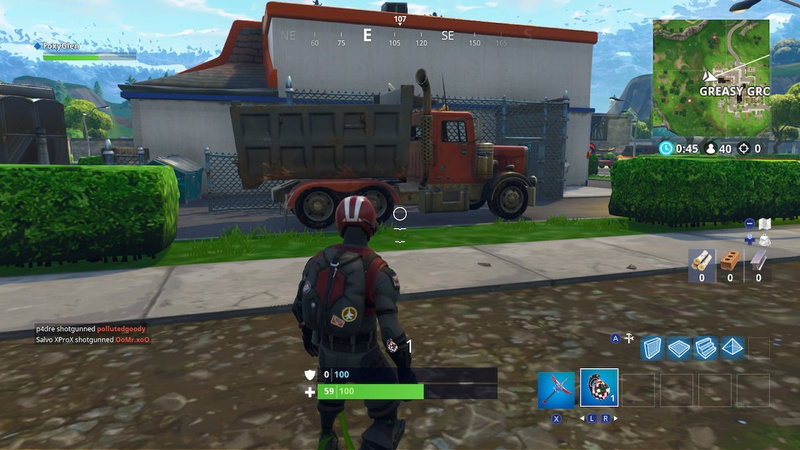 Just to the southeast of Tomato Town is an unnamed area full of cargo containers. 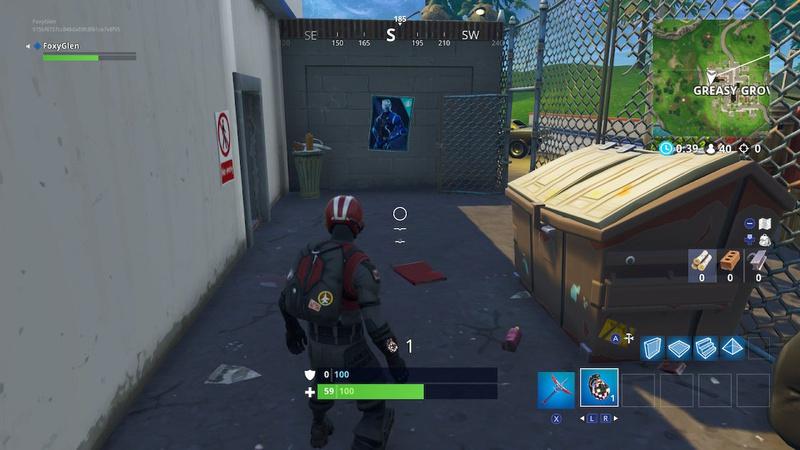 Enter this area from the west and the poster is just on your right as you come through the door. 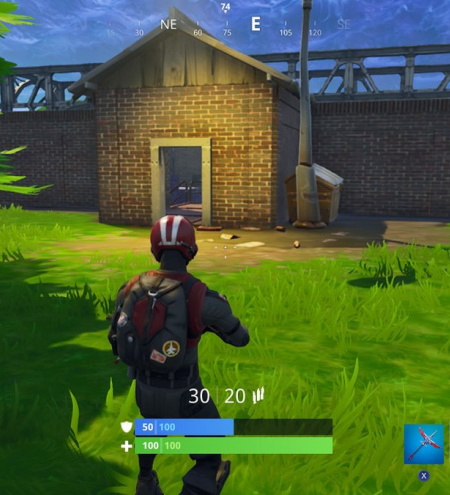 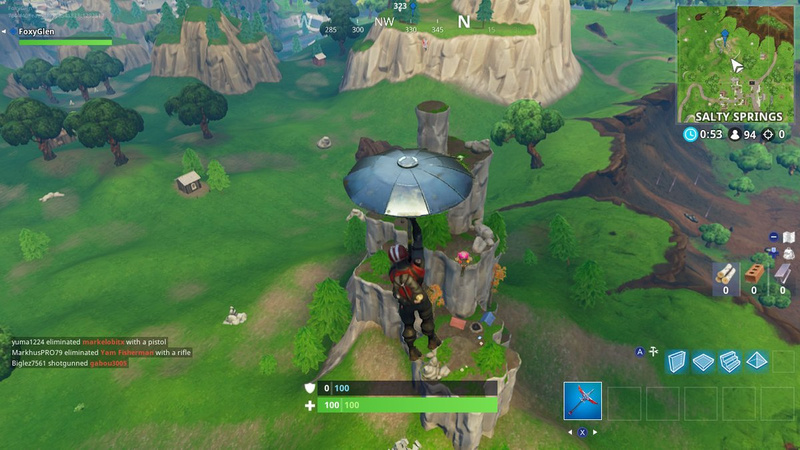 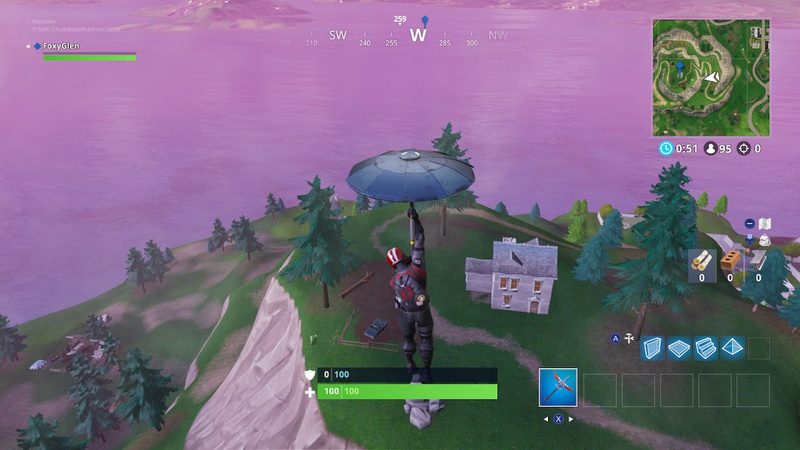 There's a weird building just to the northeast of Wailing Woods that appears to be built by a player, but it isn't. 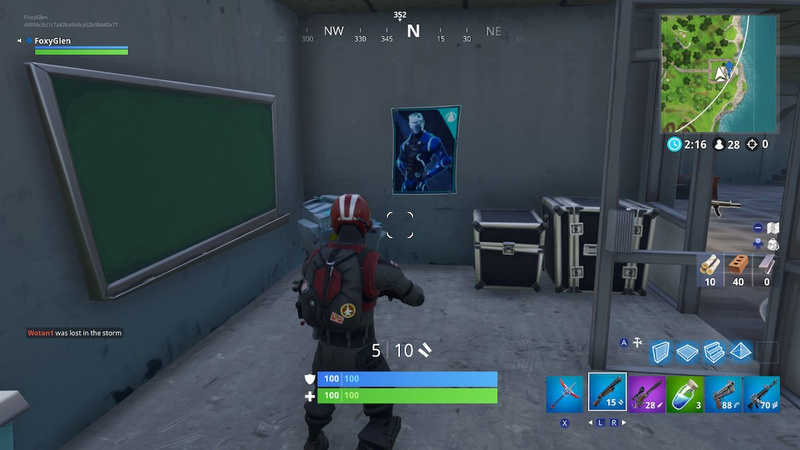 Head inside via the west entrance and you'll find the poster on your right. 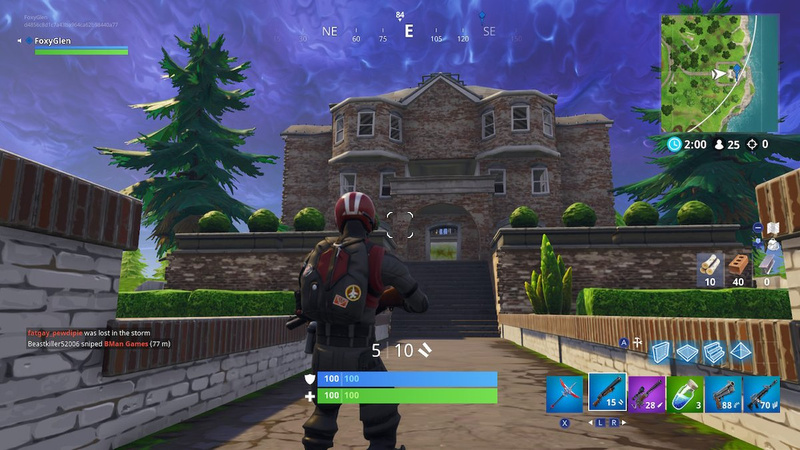 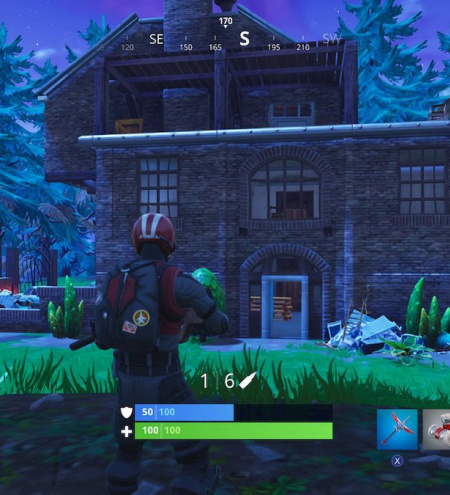 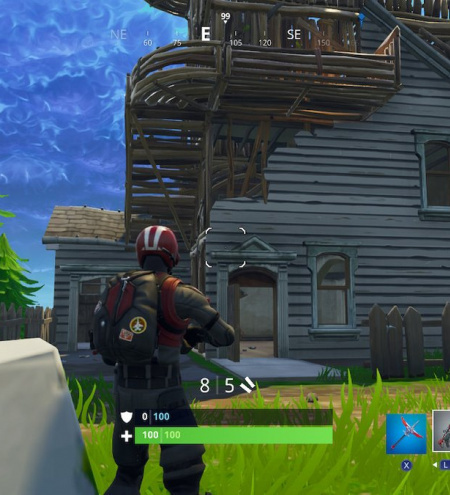 Just to the southeast of Lonely Lodge is a big mansion. 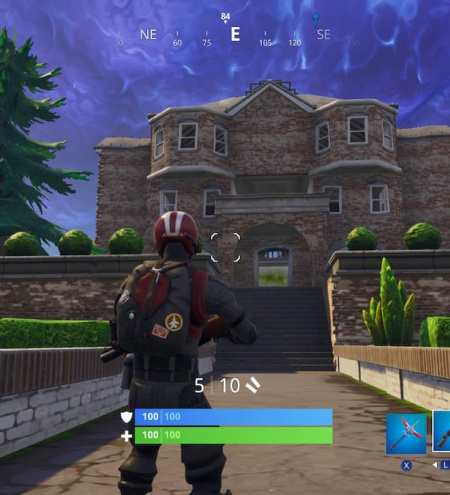 Head inside via the front entrance, then head down the stairs on your left. 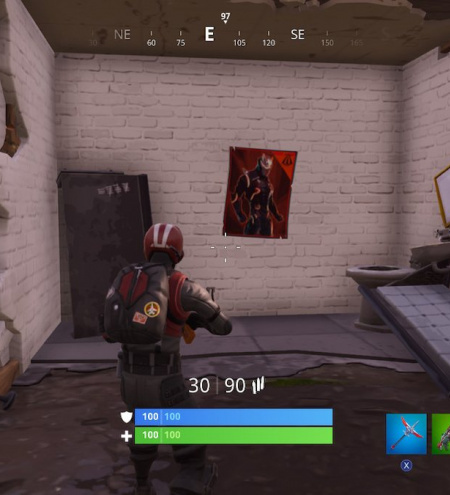 You'll find the poster in one of the small rooms inside this secret area. 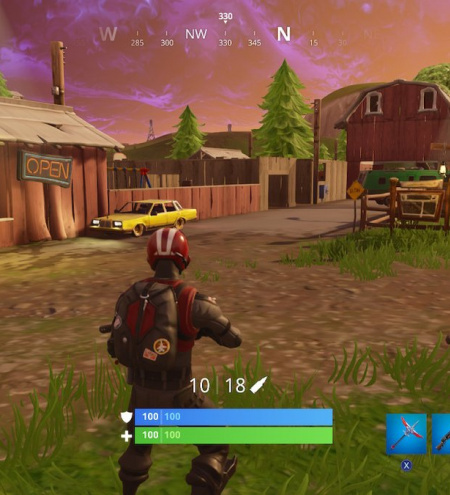 Southwest of Lonely Lodge you'll find an unnamed area that appears to be some kind of car park. 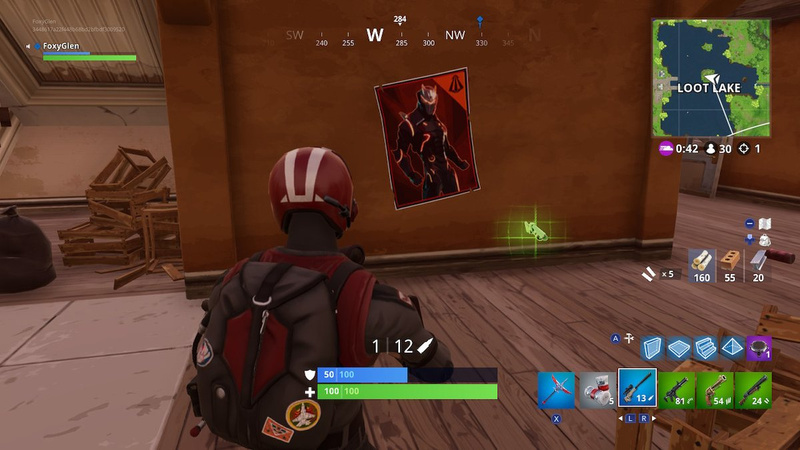 Arrive from a southeasterly direction and you'll find a small booth with the poster inside. 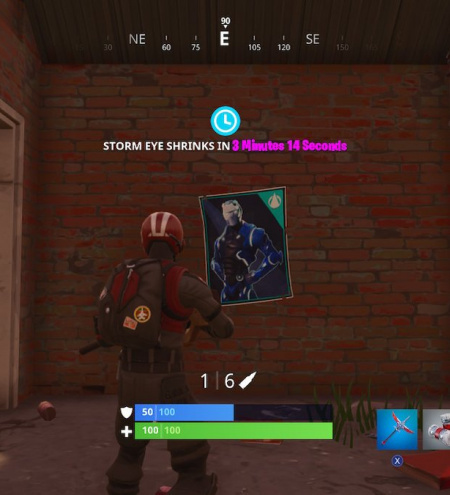 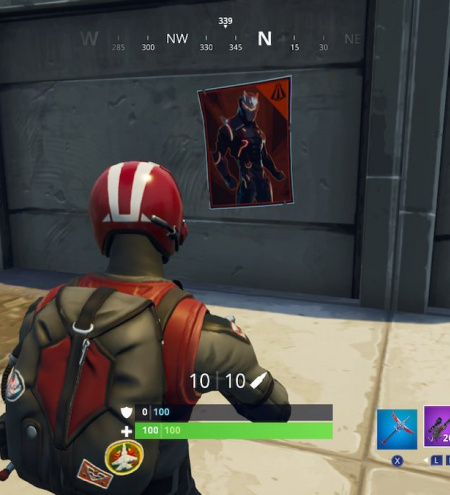 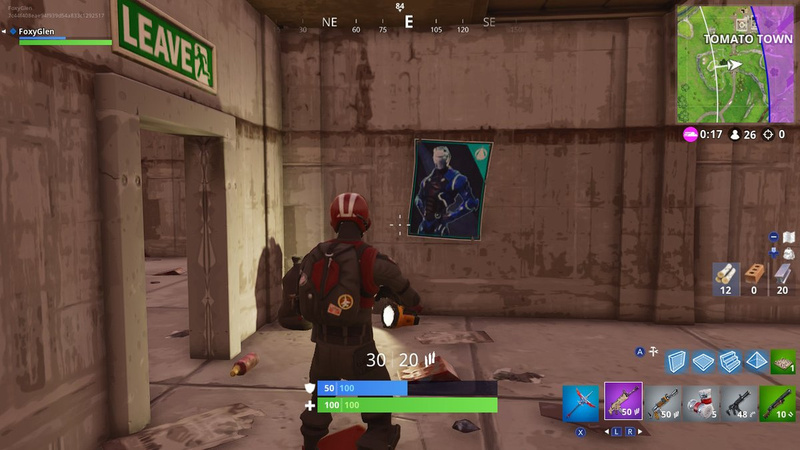 In the northeast of the prison just to the northwest of Moisty Mire, you'll find the final poster inside a cell.